Whether your home has been damaged by rain, wind, or hail, our professionals can handle repairs of any complexity. As a homeowner, roof damage is a major cause for concern. If you have a damaged roof as the result of severe weather such as rain, wind, or hail, reach out to the experts at Kaiser Siding & Roofing for professional roof repair services. No matter the complexity of the damage, our team can handle repairs to asphalt, wood, slate, and metal roofs. We offer a free, in-home consultation and roof repair estimate for your damages, and provide a variety of comprehensive solutions to ensure that your roof is repaired quickly and affordably. If you’ve recently weathered a severe storm, missing shingles and displaced granules are an obvious sign of storm damage. Dents and cracks could also mean that your home has experienced significant hail damage. Regardless of the type of damage, we’ll quickly dispatch one of our local roof repair contractors to examine your roof and recommend the best solution for making repairs. Plus, we even offer emergency roof repairs when necessary! Convenient Appointments: We’ll work with your schedule to find a time that is most convenient for you and restore your roof in a timely fashion. 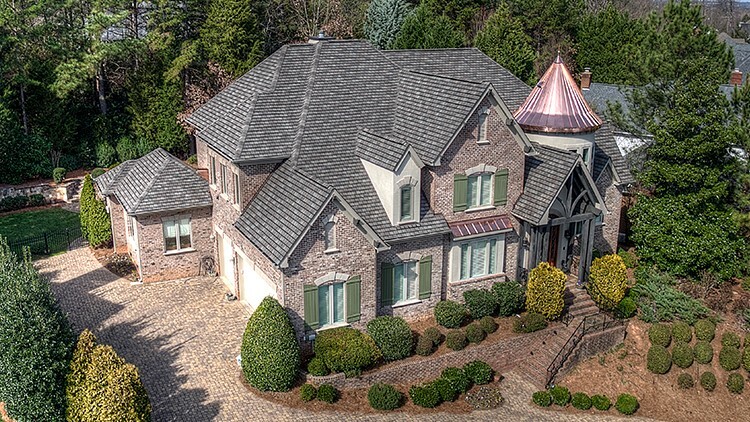 Expert Roofing Professionals: Our trained and certified roofers have decades of experience in the industry, and you can depend on us for trustworthy, courteous service from start to finish. Full-Service Solutions: From hail and wind damage to flashing failures and complete roof replacement, our comprehensive solutions make it simple for you to get the expert services you need. Guaranteed Satisfaction: We are so confident in the quality of our work and our products that we stand behind them with limited lifetime manufacturer warranties and up to a 25-year workmanship warranty on new roofing systems. Are you in need of an experienced roofing contractor to repair your damaged roof? Reach out to the roof damage repair professionals at Kaiser Siding & Roofing! We’ve been providing full-service roof repairs since 2006, and our dedication to quality has earned us an A+ rating with the BBB. Give us a call or fill out our quick online form now to request a free, no-obligation roof damage estimate.